Jon: I am going to go with the future Mr. Gretzky, Dustin Johnson, to win the Travelers. I think DJ is going to ride his postive U.S. Open juju and pull out a victory. With TPC River Highlands being a shorter course, I think Dustin pulls out the big stick and will put himself in great position to win…Martin Kaymer’s not playing right? 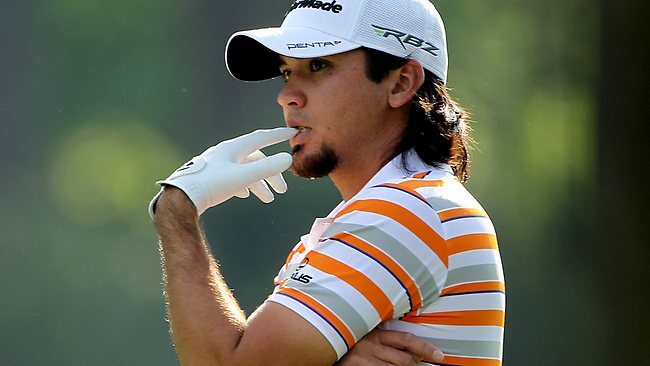 Will Jason Day pull out a victory, as Tom predicts, or will he, as Jon predicts, be cut? Tom: If you see below, this will appear to be an in-your-face pick, but I had actually written down Jason Day‘s name as my pick to win before seeing Mr. Costin’s predictions. Whereas Jon thinks I was onto something last week, I am actually looking at it as Jason Day completely proved me wrong at Pinehurst. I showed him no respect due to his questionable recovery from a thumb injury, and he goes and shoots a Sunday low round of 67 to get in a tie for fourth at the Open. Sure the argument can be made that Day gets more amped up for majors, but I believe he is a consummate professional, he happens to be playing exceptional golf, and thus he will get the win in Cromwell. Dave: Call it some type of cognitive bias, but I am going to go out on a slim ol’ limb and say my very own 2nd round pick, Hunter Mahan. I know what you’re thinking. Dave, are we talking about the same Hunter Mahan who’s come in the top ten in less than 25% of his tournaments this year? The same Hunter Mahan who hasn’t had one of those top ten finishes since March? Yes, I tell you, the very same. My reasoning is simple. In order to look forward, one must look back (gettin’ deep yo). Not to highlight his former flow, but to discuss his history at this tournament. Hunter got his first win here back in 2007, which could explain that hair. Moreover, he’s also nabbed two T2s and a T4 since 2006, and fired an opening round of 62 at this tourney last year. Not too shaggy…I mean shabby… man that hair is really sticking with me. 2. Unexpected Player to Miss The Cut? Jon: I’m going to ride Tom’s U.S. coat-tails here and go with Jason Day. He hasn’t played this course since 2008 and I don’t think the Aussie will take this tournament seriously enough and his game will suffer. Day proved he can play through that thumb injury in the U.S. Open, but I think he will have a let down this week at River Highlands. Tom: I am going with Ken Duke to miss the cut after winning this championship a year ago. Let me preface this by saying that I love Ken Duke. I love that there is a golfer on tour who sweats as much as I do on the course, I love his story of battling through a bad back to become one of the oldest first-time winners on tour ever, and I love his celebrations when he does something incredible. However, he has had an up and down season, and I think the added pressure of defending this week will cause him to try a little too hard, which will result in a struggle to make the cut. Dave: It pains me to say, because I actually like the guy, but I’m thinking Sergio Garcia. I really have no explanation why I like him so much. Perhaps it’s because he was thought to be the next Tiger when Tiger was the next Jack. Anyway, after a mediocre T35 at the U.S. Open, I feel like Sergio’s heart ain’t in this one. And, the guy hasn’t played in this tournament since 2009 and when he did, he finished T43. Finally, Sergio withdrew from the BMW Championship about a month ago due to an achy knee. I thought he would fight the pain for the U.S. Open, but adorable commercials like this one can’t motivate him to give the Travelers his all. 3. Dark Horse of the week? How will last years sweaty winner, Ken Duke, do? Jon: I wanted so badly to go with one of my fantasy team members, Brian Gay, but he’s too much of a liability. I’m going with a guy I briefly mentioned last week: “I could have been a defensive tackle,” Patrick Reed. Reed has proven that he can play this year with two wins at the Humana and the WGC-Cadillac, I think he’ll get excited for the Travelers and play above his average. Tom: There will be no Jordan Spieth-like rookie of the year this year, but there still must be a rookie of the year crowned at the end of the season. And the guy who has made his case above all others by being the low-rookie ten times this season is the guy I like to garner some attention this week – Chesson Hadley. Although his name sounds like he ate a lot of Grey Poupon as a child, the guy has proven that he can be a heck of a golfer. When the big boys were playing the Blue Monster in March, Hadley won the Puerto Rico Open, and in 2014 he has notched another top 10 and two top 15s, including recently at the St. Jude Classic. If he plays like he did in Memphis, he could get his first win in a quality field. Dave: I had to do a little digging before finding out that Brian Davis is an absolute dog at this tournament. The man has come in the top ten two out of the last three years and has been in the top 30 all three years. The guy also had a T11 at the Players. Pretty decent setup for a guy receiving 100-1 odds. 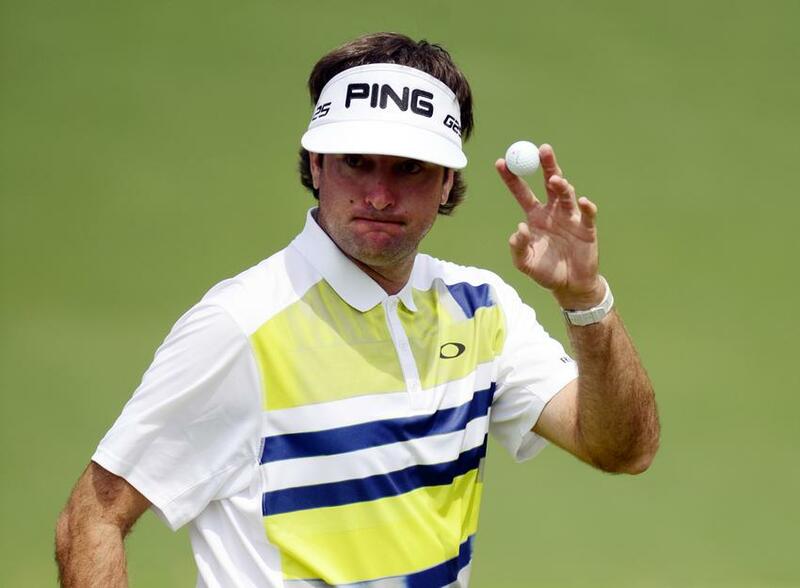 Jon: Is anyone not going to go with Bubba Watson for this pick? Within the last five years he’s placed 1, 2, and 4 at this course. He’s the number #1 fantasy player this year (though Kaymer may be staring him down). He’s already won two tournaments, including The Masters, and he has also come in 2nd twice this year. I think the former Bulldog shakes his poor U.S. Open performance, lets that big ol’ driver fly, and has a great week at TPC River Highlands. Tom: I agree that we *should* see a Bubba Watson sweep in this category. Much like you should always pick Zach Johnson at Colonial CC, or (a healthy) Tiger Woods at Torrey Pines, you simply are silly not to pick Bubba at this track. Bubba got his first PGA win here, and as an otherwise inconsistent golfer, he has been Mr. Consistent in Cromwell. Anything can happen because this is golf that we’re talking about, after all, but Bubba is certainly the safest pick available. Dave: Ugh…three is certainly a crowd. 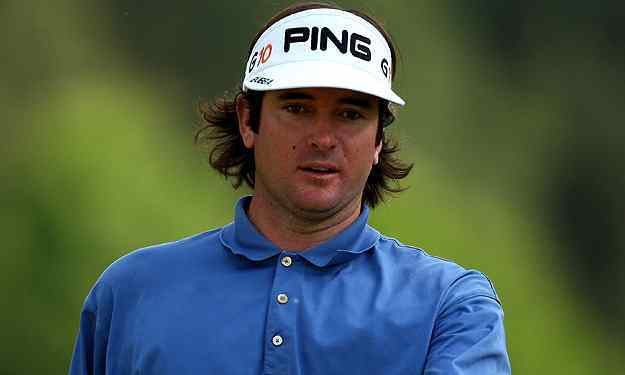 Bubba Watson for all of the reasons the Neanderthals above picked him. Although I totally disapprove of the whole “button the top” look, the man has game. I suppose I should also mention that he’s having a career season. Another green jacket in the trunk, not to mention some impressive finishes. He’s as safe as they come this week. Jon: Dustin Johnson, Bubba Watson, Matt Kuchar, Keegan Bradley. 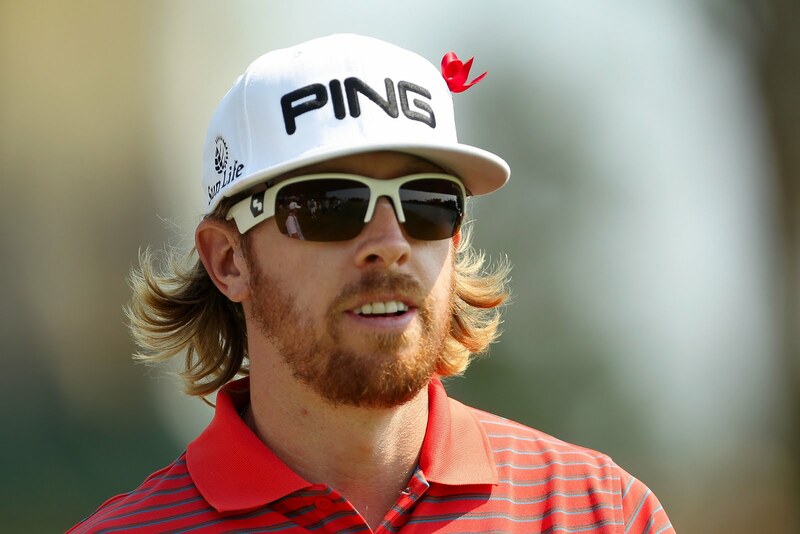 Tom: Bubba Watson, Jason Day, Hunter Mahan, Jonas Blixt. While I look at Bubba and Day as my “safe picks,” I don’t see Mahan or Blixt as “unsafe” picks. Hunter Mahan was cut in the U.S. Open after mistakenly hitting Jamie Donaldson’s ball and receiving a costly two-stroke penalty. But despite Mahan’s propensity to have some blow-up holes here and there, I think he actually has control of his emotions as much as any golfer, and will bounce back nicely from the Open miscue to get his season back on track. Jonas Blixt is a bit of a wild card because he has no positive energy on this course (got a T43 in his first appearance last year), and he has done nothing this season outside of his incredible T2 at the Masters. But as we mentioned in our preview, this course can be a “quick study,” and Blixt has proven that he is capable of posting some low numbers. 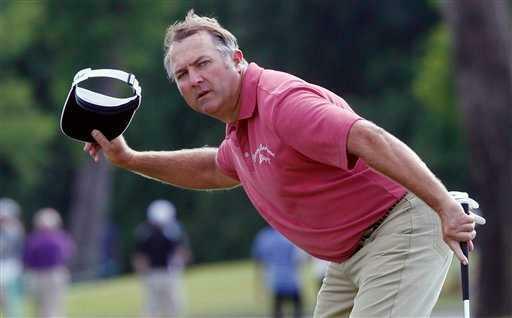 Dave: Bubba Watson, Hunter Mahan, Matt Kuchar, Keegan Bradley. So the fact that my foursome is fairly identical to my associates is not a sign of laziness, but rather a sign of how this tournament is probably going to turn out. There are several marvelous story lines, but these golfers, in my opinion, could be taking home the trophy and probably a ton of red umbrellas. Bubba and Matt could win every tournament, Hunter is poised to make a move this season, and Keegan Bradley is coming home for this one. While it’s never easy to predict the winner, I’d be shocked if these guys weren’t in contention down the stretch.